Rinse fresh blue mussels in tap water and set aside. Discard any mussel that does not close after being rinsed. Heat oil in a large pan over medium heat. Add garlic and saute until fragrant, about 1 minute. Add stock, salt and pepper. Tip mussels into pan and cover. 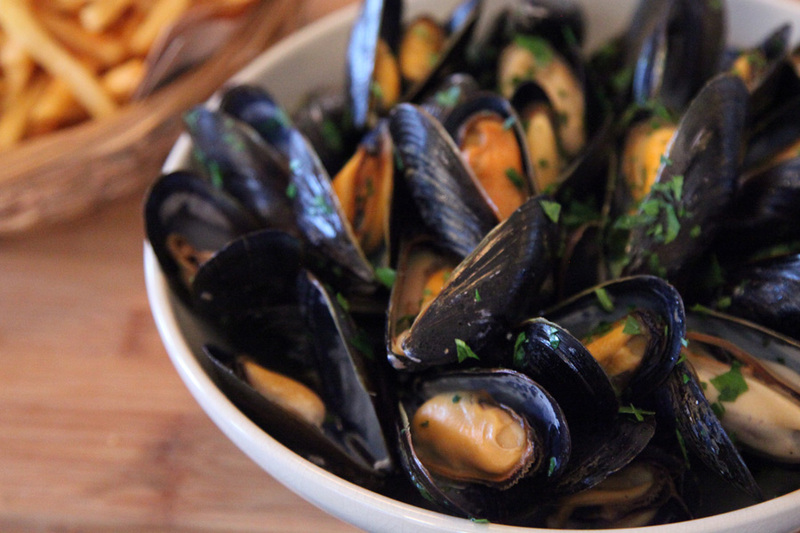 Leave to steam for 5-7 minutes, until mussels are open. Discard any mussels that are not open. Toss with chopped parsley. Transfer mussels to a large bowl.